One or more photo(s) has been virtually staged. 1st Floor Condo in highly sought after Tuscana Resort in beautiful Champion Gate. Fully furnished, turn key Condo boasts 9-foot ceilings, granite counter tops in kitchen and bath. Enjoy your time away at a heated pool, jacuzzi. Poolside cabanas, Tuscana resort offers a Fitness Center, full-service restaurant and lounge area poolside. Relax and watch the latest releases in the movie theater, or enjoy a golf outing in the nearby and walking distance to shopping restaurants, grocery. Challenge yourself at the nearby Championship Golf Courses. 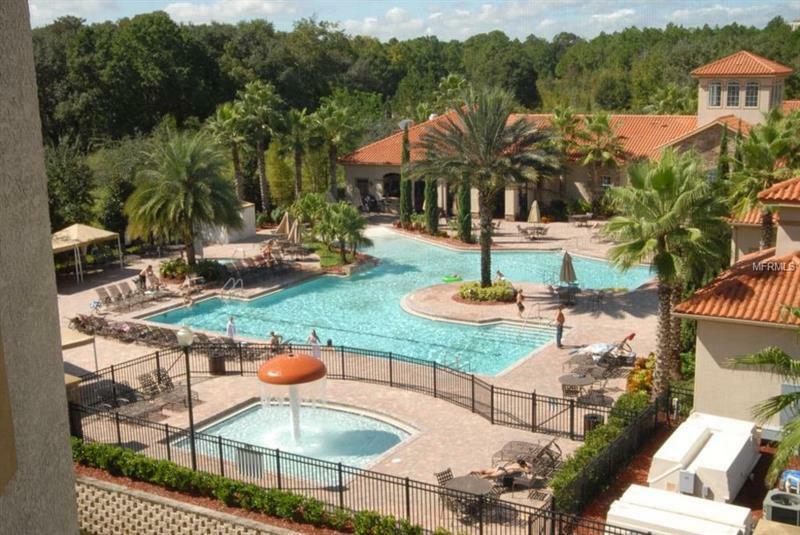 Only minutes from Disney and major attractions. HOA fee includes cable, internet, water, and trash. Tuscana Resort historically has a HIGH occupancy rate of rental for a sound investment in the country's most traveled city of over 68 million visitors annually! This opportunity won't last long!